We love this time of year! 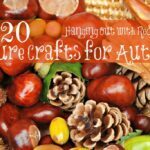 If you haven’t noticed yet we have gone Autumn Craft Mad!!! 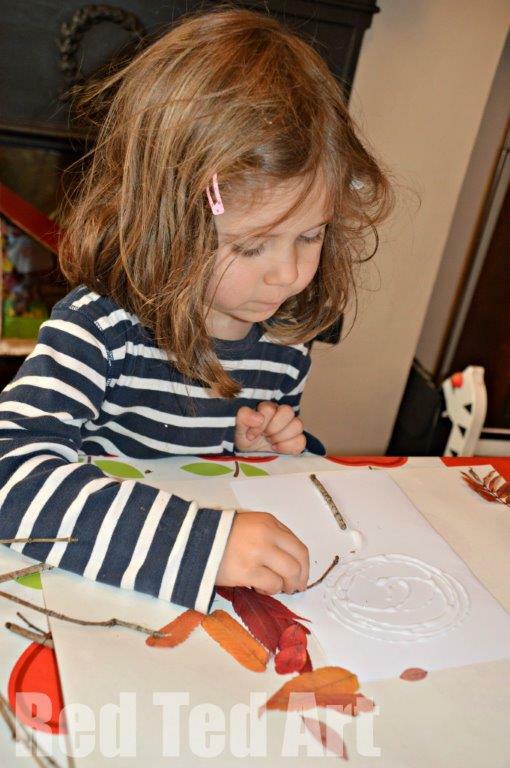 We particularly love Autumn Crafts for Preschoolers, that they can enjoy and take part in. There are sooo many beautiful shapes and textures and colours out there at the moment: from Horse Chestnuts (aka conkers) to pine cones to the wonderful colours of Autumn Leaves. Beautiful! And these leaves came all from the same tree. It is a beautiful tree near our kids’ school. And it is WONDERFUL watching it gradually change colour. 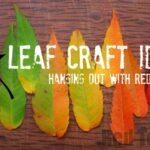 Clearly, you can have lots of fun, just playing with the leaves – arranging them by colour and seeing what shapes you can create. 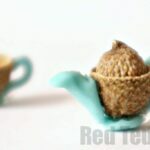 But they are also PERFECT for finishing off this year’s Four Seasons Project. 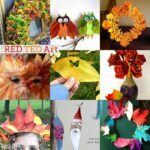 Those of you familiar with Red Ted Art, will know that each year we choose a “theme” and revisit that same theme throughout the four seasons… for some reason we always start with Winter and end with GLORIOUS AUTUMN! 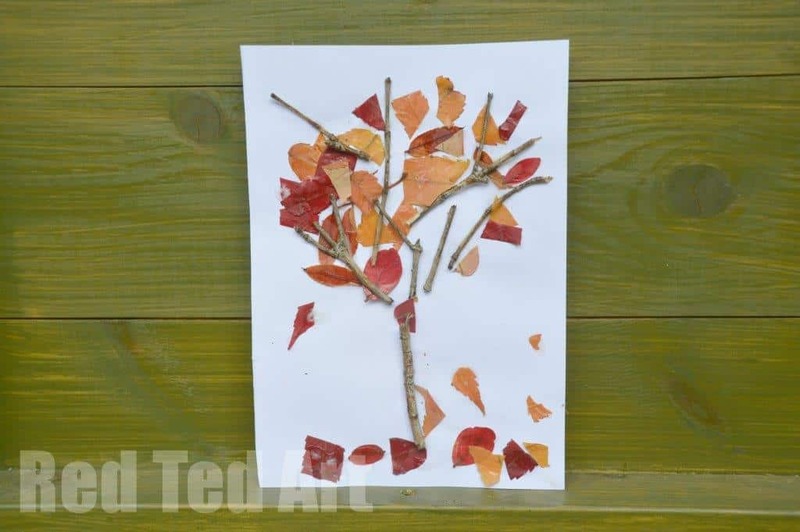 This year’s theme as been NATURE – letting my kids connect with nature on a very direct way: let’s create tree pictures using nature to reflect what is happening. In Winter, we had sticks. In Spring, we had blossoms. In Summer, we had lush green leaves. And now… Autumn and our beautiful leaves. 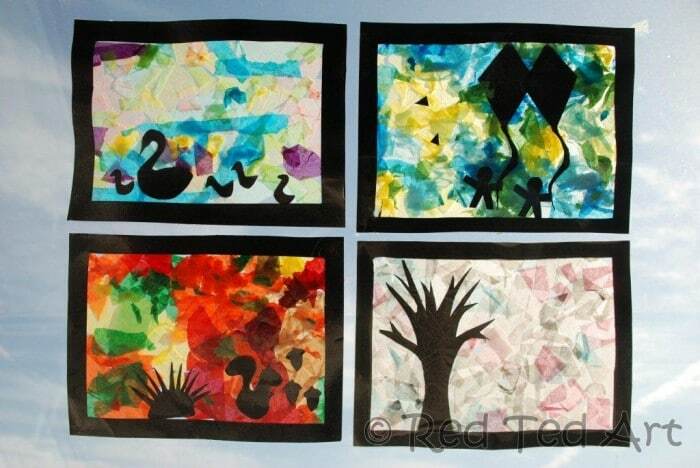 Any one of these four seasons makes a lovely “stand alone” project, exploring nature and art. 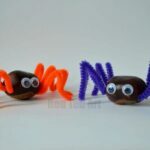 But of course, combined they look great too. So, over to our Autumn trees. As with our previous projects, we collected sticks and leaves. 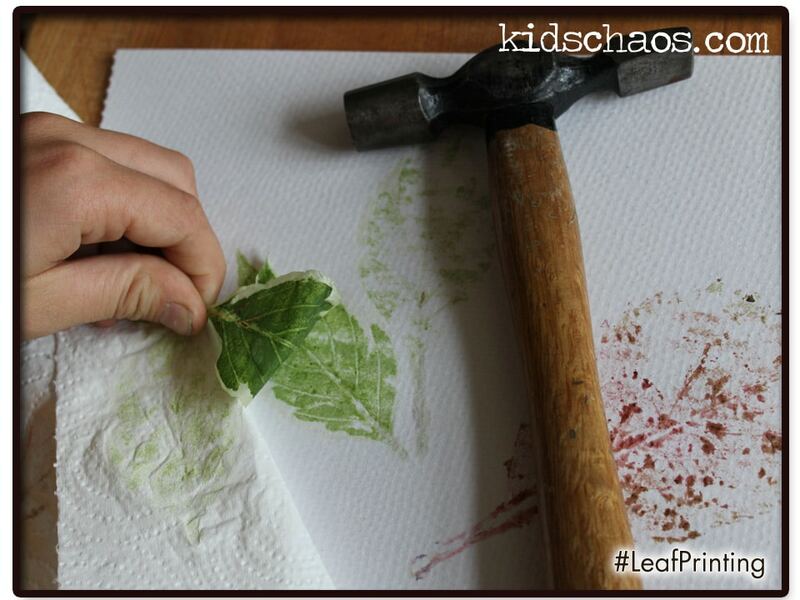 This time, I pressed the leaves A LITTLE, mainly because we collected them a week or so before we had a chance to do the art activity. And leaves do have a nature of curling up and getting brittle. If you make your Autumn Tree straight away, you will probably get away with NOT having to press them first. 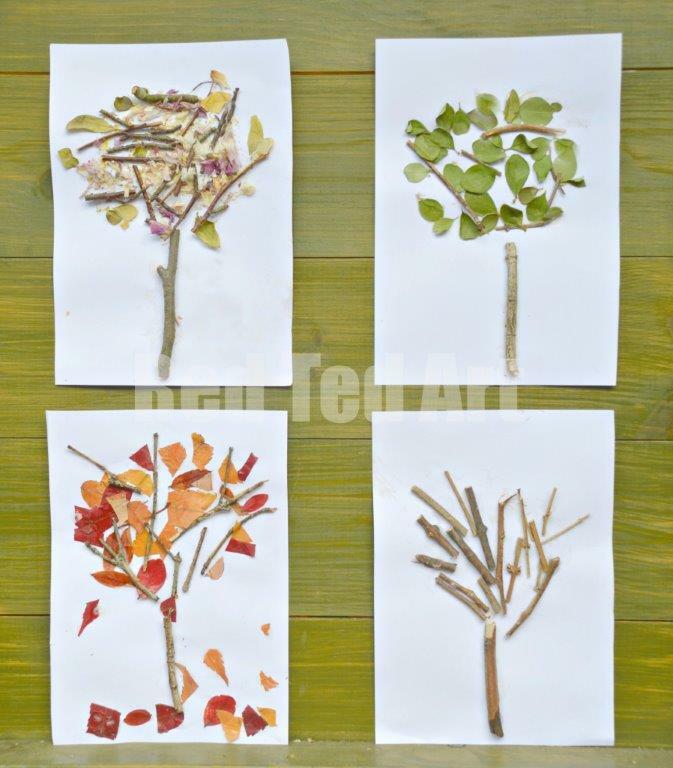 1) As with our other Nature Trees, we started with the sticks to create our tree. 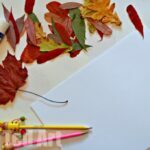 To help, I squirt glue in a rough tree shape on the paper. 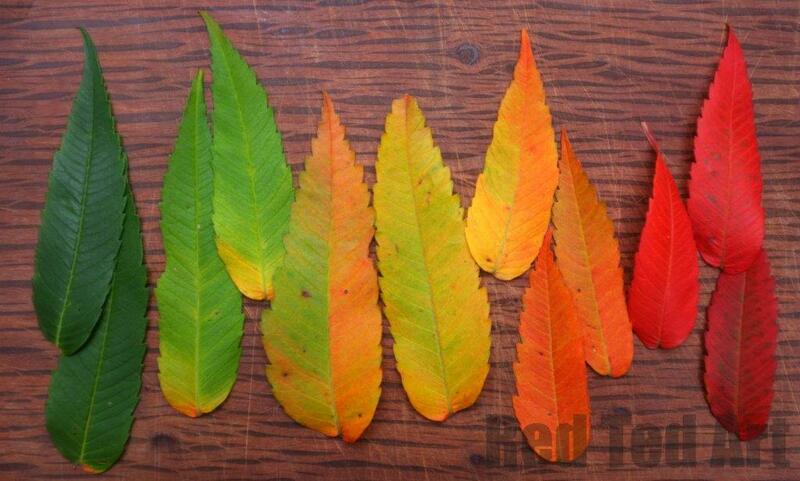 2) Then the children cut down the leaves, so that they could fit their trees and stuck these on too. Once done, added a little more PVA glue on the top, to help “seal” the leaves a little, so that the tree will keep better! LOVELY. What do you think? And finally a set of four of them together!! 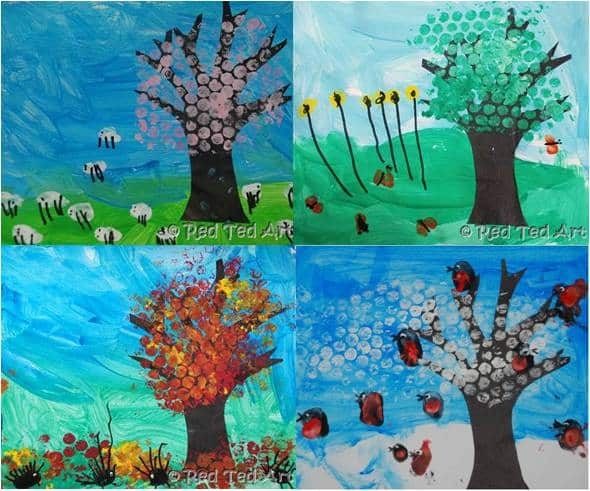 I hope you have fun with our nature autumn trees and have a go at all the four seasons! 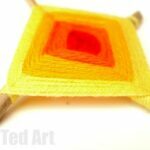 It really is one of the simplest crafts going.. and yet VERY satisfying!! Have fun with it! Love your trees, Maggy! 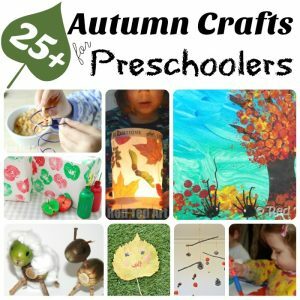 We’ve been doing lots of tree crafts here too! It’s the perfect time of year to celebrate all that colour! Love that you have a tree for all seasons! Yes.. we have had to be SO PATIENT and wait 2-3 months for each new tree!! How adorable! 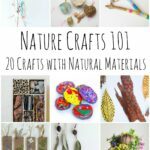 I love the idea of season crafts that all go together like you have done for 3 years now. I will definitely be joining you next go around with my 2 oldest littles (as my youngest is only 7 months she won’t be joining in :)! Great selection – the colours are stunning when you put them together like that, aren’t they?